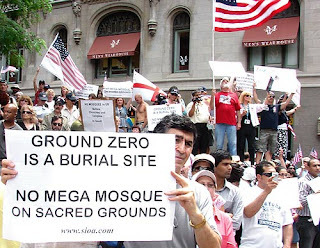 Contrived Controversy: Protesting the so-called "Ground Zero Mosque." The most powerful patron of radical Islam is not Iran, Iraq, or Saudi Arabia. It is the government headquartered in Washington, D.C., which for more than a half-century has diligently cultivated Islamic terrorism. Yet millions of Americans are suffering what amounts to a collective loss of bladder control over the purported threat embodied in the proposed Cordoba House -- the Islamic equivalent of a YMCA -- in New York City. Allowing the "Ground Zero Mosque" to be built, insists Newt Gingrich, would be tantamount to "surrender" in a struggle against those implacably committed to our destruction. New York gubernatorial hopeful Carl Paladino, a New York crony capitalist who anointed himself a paladin of the Tea Party movement, has made opposition to the "Ground Zero Mosque" the central plank of his campaign. Paladino, who has profited handsomely from government's redistribution of wealth, promises that if elected he will confiscate the property used for the Muslim Community Center through eminent domain and use the land to erect a war memorial. Writing in National Review, former federal prosecutor Andrew McCarthy insists that Imam Feisal Abdul Rauf -- the Kuwait-born U.S. citizen who leads the Cordoba Initiative -- is pursuing a "stealth jihad" as a fellow-traveler of the Muslim Brotherhood. "The Ground Zero project is a test of America's resolve to face down a civilizational jihad that that aims, in the words of its leaders, to destroy us from within," maintains McCarthy. According to Bryan Fischer of the American Family Association (AFA) the problem isn't the proposal to build a Muslim cultural center two blocks from Ground Zero. 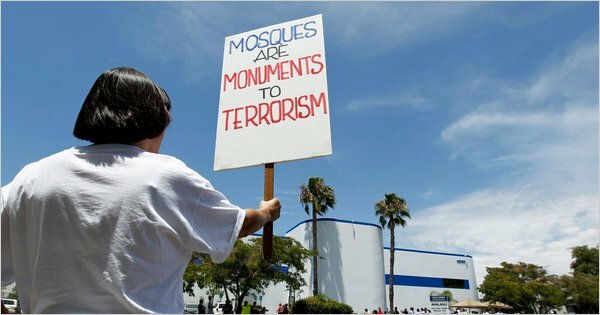 Rather, it's the fact that the government ruling us permits the existence of mosques anywhere in the United States. Since "every single mosque is a potential terror training center or recruiting center for jihad," Muslims "cannot claim First Amendment Protections," maintains Fischer (who, in addition to supporting case-specific abolition of the First Amendment, has previously called for the abolition of the habeas corpus guarantee as well). Rather than focusing exclusively on the so-called Ground Zero Mosque, the AFA and like-minded organizations have instigated a nation-wide campaign to protest construction of Muslim houses of worship in more than a half-dozen states. Like McCarthy, Fischer treats Imam Rauf as an asset of the Muslim Brotherhood, which (according to Fischer) is "at the heart and center... the soul of Islam in America." Islamic houses of worship serve as recruiting centers for soldiers of jihad, who will kill and die on behalf of Sharia Law. 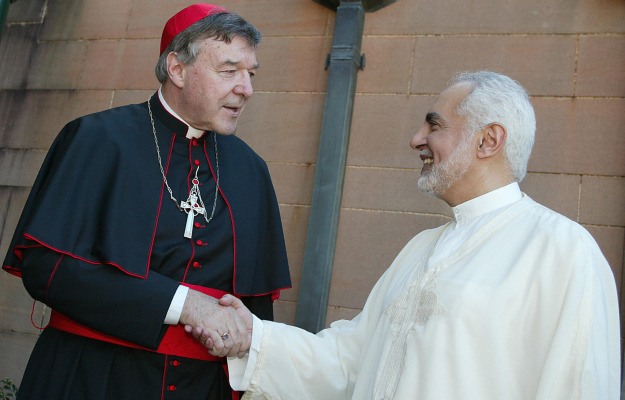 Many Islamic clerics, including Imam Feisal, are joined at the hip with the Muslim Brotherhood -- the most powerful element of the international Islamic terrorist network. Jihadist at work? Imam Feisal Abdul Rauf (right). Stipulating that those concerns are genuine, and that the proper course of action would be to target the greatest offenders first, the campaign to shut down the global jihad should target the United States Government -- and the Republican-dominated Evangelical Churches that serve as military recruiting stations for the Regime in Washington. During the past decade, a Middle Eastern nation of roughly 30,000,000 people once ruled by a secular government succumbed to Sharia Law. The predictable results of that catastrophe included a dramatic increase in religious violence, such as the persecution of professional women whose dress and conduct are now seen as unacceptable. More than half of the Christian population of that country -- which includes congregations tracing their roots back to the original disciples -- was driven into exile. That nation is Iraq, which suffered for decades under Washington's loathsome subcontractor Saddam Hussein before Saddam's employer decided to remove the middleman. For a dozen years after the 1991 Gulf War -- which followed the Washington-instigated Iraqi assault on Kuwait, which itself was a sequel to the Washington-abetted Iraqi war with Iran -- the country was suffocated by a murderous embargo punctuated with the occasional terror-bombing. After being softened up for more than a decade, Iraq was invaded and occupied by U.S. troops who killed and died in order to install an Islamist government whose new constitution formally enshrines Sharia Law. When American jingoists offer misty-eyed tributes to the soldiers who died in the course of "liberating" Iraq, it could be said that they are, in effect, praising the efforts of men and women who are martyrs to the cause of Sharia Law. This outcome is not an historical anomaly. For the past six decades, the Anglo-American elite (with Washington assuming the senior partner role after World War II) has assiduously promoted the most violent strains of revolutionary Islam, often -- but not exclusively -- as a strategic weapon in the context of the Cold War. The Muslim Brotherhood -- which grew out of the late-19th Century agitation of Persian-born professional revolutionary Jamal Eddine al-Afghani -- has long been one of the Anglo-American elite's most important strategic assets, as well as the talent pool that was used to staff the deadliest terrorist network in the Muslim world. While he was superficially the most devout and pious of Muslim believers, Al-Afghani, writes Robert Dreyfuss in his valuable book The Devil's Game, "a heterodox thinker who was a Freemason, a mystic, a political operative, and above all ... someone who believed in the `social utility of religion.'" After serving as a Russian agent in the 1860s, Afghani defected to the British. He was in London's employ when he made a disciple of an Egyptian Sugist named Mohammed Abduh. During the 1870s, Afghani and Abduh used Cairo's storied Al-Azhar mosque as a recruiting center for a revolutionary network, which gathered cadres from throughout the Middle East and Europe. 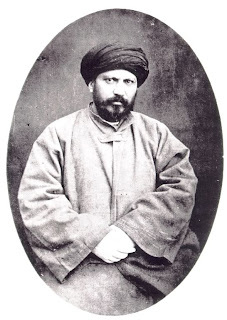 Afghani also founded a lodge of his Arab Masonic society, which became the headquarters of what Egyptian police called "young Thugs" -- a description invoking India's notorious Thugee Cult, an oath-bound fraternity of murderers. When Afghani was eventually expelled from Egypt, his disciple Abduh remained, eventually rising to become the nation's Mufti (supreme interpreter of Islamic law) in 1899. Like his mentor, Abduh considered revolution to be his religion, and the Islamic faith to be a vessel for his political ambitions. 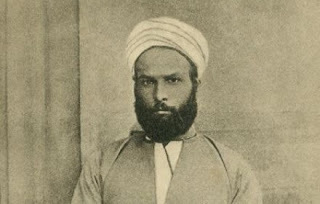 Among those who fell under Abduh's influence was Hassan Al-Banna, the schoolteacher who gave tangible form to Abduh's revolutionary designs by founding the Ikhwan al-Mulimeen (Islamic Brotherhood) in 1928. Reflecting the influence of Afghani and Abduh, Banna organized the Brotherhood into cells (called "families") of five to seven members. The Brotherhood "was more than a movement," writes Dreyfuss. "It was a cult, it was a revivalist party, it was an intelligence operation, it was a paramilitary unit, and it was an international organization that was rapidly building branches in many Middle Eastern countries." During World War II, Dreyfuss continues, Brotherhood cadres were recruited by British, Nazi, and Soviet intelligence agencies. "In the eastern regions of the Soviet empire, where the Nazis were more interested in oil than ethnic cleansing, the Third Reich mobilized Muslims and other ethnic minorities to fight for the liberation of their homelands," writes Eliza Griswold in The New Republic, summarizing the findings in Ian Johnson's recent book A Mosque in Munich. "The Nazis plucked Muslims from German prisoner-of-war camps; some Muslims became German soldiers, members of the SS; some, professional propagandists.... Once World War II ended, many of these men, stuck in Germany and having lost their homelands, found a new employer: the United States." A CIA-created propaganda arm called Radio Liberty employed "many of these former Nazi sympathizers," Griswold points out. 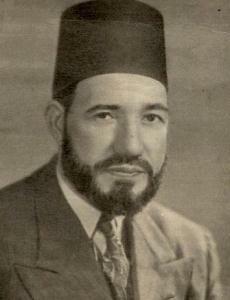 In 1953 -- the same year the CIA and MI6, working through a network of Islamic radicals, brought down the Iranian government of Mohammed Mossadegh -- the White House hosted 27-year-old Said Ramadan, the Muslim Brotherhood's chief international organizer in addition to being son-in-law to Hassan al-Banna's son-in-law, who had been assassinated in 1949. In subsequent years, many adherents of the Brotherhood -- including former Nazi sympathizers who worked with the CIA -- affiliated with the Al-Quds Mosque in Munich. Among them was Mahmoud Abouhalima, a Brotherhood member who became a leader in the CIA-funded Afghan mujahadeen and later played a prominent role in the 1993 terrorist attack on the World Trade Center. Abouhalima, who spent the late 1980s networking with radicals among American Muslims, sponsored the 1990 visit of Sheik Omar Abdel-Rahman, later convicted of "seditious conspiracy" in the 1993 WTC attack. Despite being on a State Department terrorist watch list, Sheik Omar was granted a visa at the U.S. consulate in Khartoum: As something other than coincidence had it, the CIA station chief personally attended to the matter by substituting for the consular official who was usually in charge of issuing visas. 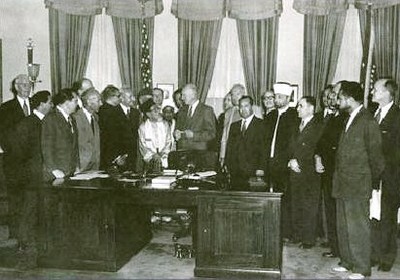 Ike and Ikhwan: Brotherhood leader Said Ramadan is at the far right, holding papers. Like practically everyone else involved in the 1993 WTC plot, Omar had also been an asset of the U.S. Government. The same is true of former U.S. Army Special Forces Captain Ali Mohammed, who -- according to investigators -- most likely "called the shots" in the bombing conspiracy. Despite -- or perhaps because of -- that fact, Mohammed went on to become a "privileged asset" of the FBI. In 2001, Mohammed pleaded guilty -- "in exchange for considerations" -- to charges arising from the 1998 bombings in Kenya and Tanzania. He then disappeared into the witness protection program, where he remains to this day. The extent to which the Muslim Brotherhood is (in Bryan Fischer's phrase) "the soul of Islam in America" reflects the tireless efforts of our rulers to nurture radical Islam as a strategic asset -- both for prosecuting war abroad and making war on us at home by terrorizing us into supporting its corrupt, needlessly bellicose foreign policy. In his eagerness to strip American citizens who profess the Muslim religion of their rights, Bryan Fischer offers an analogy to the recent arrest of the so-called Hutaree Militia in Michigan on charges of seditious conspiracy. "The fact that they were a Christian militia did not stop them from being locked up,"Fischer told an interviewer. Had his research into the Hutaree case been more exhaustive than scanning headlines, Fischer may have discovered that the rapidly disintegrating case against that group was built entirely on the claims made by an informant-provocateur employed by the FBI. The same is true of practically every recent "terrorism" case involving American Muslims. If there is reason to be suspicious of Imam Feisal Abdul Rauf, it would not be his sensible criticism of Washington's foreign policy; instead, it would be his willingness to cooperate with the FBI, which seems more interested in manufacturing "terrorist plots" than interdicting them. "[I would wish that] we would remember that the two greatest commandments that God gave us through the mouths of his many prophets and messengers, including Jesus, Moses, and Mohammed -- to love the Lord our God and to love our neighbors. It also means do not do unto others what you do not want others to do unto you. If that can be the criterion of our foreign policy, I guarantee you that our foreign policy will be successful and wildly popular." As the treatment given to its Author demonstrates, preaching the Golden Rule will always provoke the murderous hostility of the ruling elite. Apparently, the last thing many American Christians can abide is the spectacle of an American Muslim leader who -- whatever else he may be up to -- insists that we abide by the central moral tenet of the Christian faith. If you can, please help keep Pro Libertate on-line with a donation. Thanks, and God bless! Join me Saturday nights from 8:00-11:00 Mountain Time for Pro Libertate Radio on the Liberty News Radio Network. Do unto others as you would want them to do to you. How simple can it be and yet our corrupt government with the help of a bellowing herd of non-thinking Christians, makes even that a convoluted mess. It has to be on purpose because nobody could possibly be THAT stupid. The mooslems are coming! Guess we didn't fight them over there hard enough and now they are here! Ahhh save me mommygov here is all my (former) rights and freedoms. Just please *sniffle* keep me safe. That all the radical Islamic terrorism was entirely the work of Western intelligence agencies is not news to me. But this is the first I've heard we actually planted neocon theorists inside the Muslim religious leadership to make that false-flag recruitment possible. Somehow, I am not the least bit surprised. Ahh once again I am able to read the type of writing that used to grace the pages of The New American. Hard hitting and expository. Great job Will! The big bling-bling suburban megas might be the biggest hubs for warmongering. However, how many of the attendees are willing to spill their own blood in accordance with the way they talk? I have long felt that the Army and Marine Corps ought to station recruiters in the church lobbies on Sundays and see what the response is. Doug, they don't even have to bother with the recruiters because they're already planting the seeds of nationalism within the churches. That makes it even easier. While the ghettos and urban hell holes produce violent nuts they at least don't pretend to be otherwise. The difficulty is in keeping their rage focused. Once set loose back in the Heimat these lunatics are still violent but now have "skeelz". The "believers", on the other hand, march off with fantasies of glory and being faithful. Twain wrote about them. Correct me if I am wrong, but the grassroots opposition to the construction of this facility has more to do with the inappropriateness of the location than it does with philosophical or religious jingoism. Parenthetically, I cannot help but note that apparently our C-in-C has weighed in favoring the construction. That alone makes me uncertain about its efficacy. Nothing quite like blindly following their religion of bloodletting. There are folks out there who have this unquenchable thirst for the blood of people that they consider their enemies. "In the eastern regions of the Soviet empire, where the Nazis were more interested in oil than ethnic cleansing, the Third Reich mobilized Muslims...writes Eliza Griswold in The New Republic"
If you want a first-hand account of this (without dirtying your hands with a rag like "New Republic") read "Survivor from an Unknown War: The Life of Isakjan Narzikul." During the past decade, a Middle Eastern nation of roughly 30,000,000 people once ruled by a secular government succumbed to Sharia Law. That is such an excellent point! Those who constantly bombard me with forwarded emails about the horrors of the Muslim faith would be shocked to have that one fact thrown in their war/Bush-loving faces. I had no idea that the Islamic Brotherhood had been recruited into the Nazi regime during WWII. And I was even more aghast that they were recruited by the U.S. intelligence 'community', although after reading the first few chapters of Russ Baker's book on the Bush dynasty, I should have known that anything having to do with 'intelligence' is going to be tied to the CIA. Thank you, Will, for putting this information together - once again proving that our government is our #1 enemy. The Waffen-SS recruited from all countries who were interested. Some were forced to fight. There was indeed a Muslim volunteer unit. The Waffen-SS was Himmler's army. They got first dibs on equipment and supplies. You can tell who they are in old WWII footage by the camo uniforms. Volunteer units did not wear the camo but did have national emblems. The Muslim unit had the traditional headgear with tassle and a scimitar and moon crescent on the front. These Islamic haters are praying we will bomb Iran before it can build a nuclear power plant. Iran is absolutly no threat to Ameica, and should be allowed to proceed. It is a signatory to the internatinal nuclear regulatory treaty. Chistians, of all people, should honor the Islamic people. They accept the virgin birth of Jesus and honor him as a prophet. Fascinating and thorough as always. Will Grigg rocks hard! You are an information warior, brother! What this country needs is a red, white and blue enema! That should placate the jingoists for a day or two. If ground zero is hallowed ground then why not shut down all the starbucks, delis, brokerage houses, law firms, etc...in the blocks surrounding it. Does this mean that 911 is a religion now? @Free Forester, why is the location inappropriate? If by "our C-in-C", you Commander in Chief, please note that we, the U.S. citizens, do not have a C-in-C, but rather a president. I did not say the location was inappropriate. I postulated that grassroots opposition was based on that, rather than philosophical or religious reasons. (And sought correction if I was wrong.) Do not put words in my mouth. "Does this mean that 911 is a religion now?" Clearly you're onto something there. For many "believers" it's holy writ and any infidel who questions the murderous mutterings of the Ayataollahs of 1600 Penn, D.C., will be branded "unpatriotic".